Pet Emergency? Call us right away ! For Over 60 years, New Canaan Veterinary Hospital has been a family owned facility serving New Canaan, Wilton, Norwalk, Stamford and Pound Ridge. Under the careful direction of Dr. Paul Potenza, we offer a full range of services. Routine Examinations and Preventative Care for companion pets. Please browse our pet center to learn more about our animal clinic and the services we provide for companion animals. Please call our office today at (203)966-1627 for all your pet health care needs. 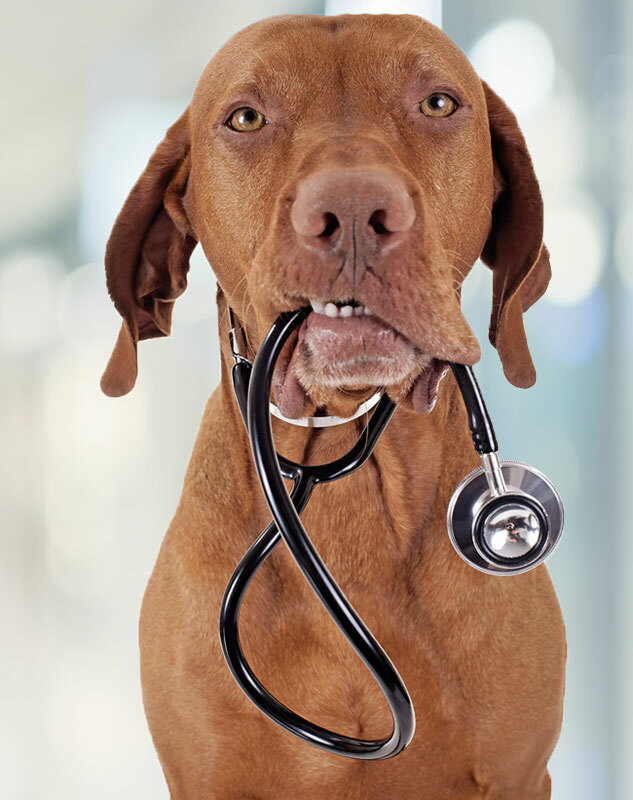 At New Canaan Veterinary Hospital, we treat your pets like the valued family members they are! Dr. Paul Potenza joined NCVH in 1990 as an assocaite while he ran his mobile veterinary practice. In 1996 he quit the road to become director of New Canaan Veterinary Hospital. He has lived in New Canaan since 2003 with his wife, Priscilla and his two daughters; Allie and Siena. Both girls attended New Canaan public schools, with his youngest still attending New Canaan High School. 'Doc's' Aussie 'Ellie', pictured here, is the most recent addition to his furry family which usually consists of up to 4 dogs and 1 to 3 cats. In his spare time Doc enjoys swimming, playing the banjo and spending time with his family. Dr. Marlene Schaefler, shown with her whippersnapper Ripley. Dr. Schaefler joined New Canaan Veterinary Hospital initially in 1991 as a kennel assistant. She continued to work through school breaks until she joined the hospital as a doctor after graduating from Cornell University in 1999. During her professional training, Dr. Potenza patiently awaited her return, working as the sole doctor, knowing that she would be the perfect fit for the practice. In her time away from the hospital, Dr. Schaefler enjoys horseback riding and crafting, and caring for her menagerie of 2 cats, 1 dog, 4 chickens and a snake. Of course, there's a lot less time for that now since her beautiful daughter, Devon, and son Tristan, expanded hers and Doug's family..
Dr. Stefanie Boggess is pleased to begin practicing in the community where she has lived for the past thirteen years. Dr. Boggess is a graduate of Florida State University, Ross University, and began her veterinary career in the New York area as an intern at the Animal Medical Center in New York City. She has been a committed small animal veterinarian in Fairfield County for over a decade and is delighted to be working more directly with longstanding friends and clients from our community. Dr. Boggess resides in New Canaan with her husband and their two children, and their animal menagerie which includes a rescue dog, Franklin, Beardy, a bearded lizard and Sammy, a hamster.